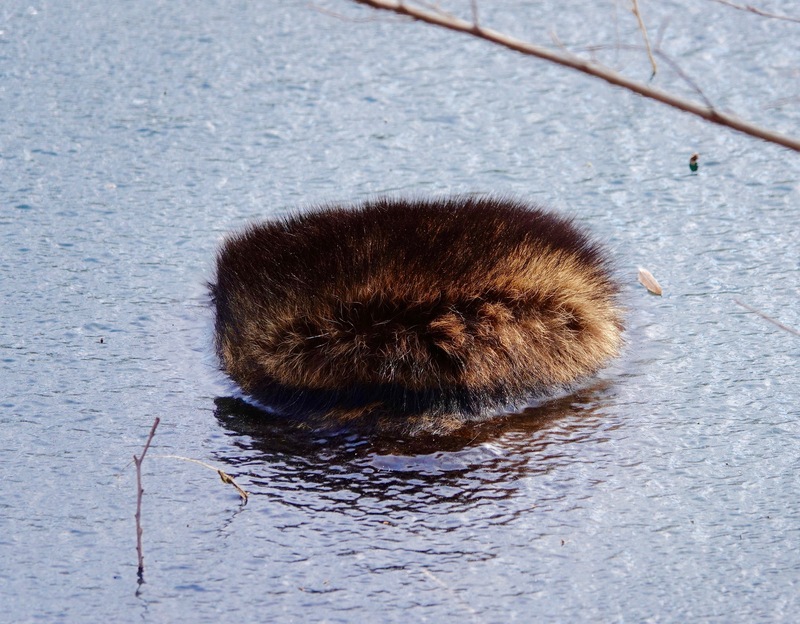 Usually raccoons sleep off the night’s revels in a conifer, as here in Green-Wood, but when in Rome…. Someplace, for instance, where the evergreens are in short supply, as in this section of Pelham Bay. A sharper eye than mine pointed out that this hammock is fundamentally made up of poison ivy vine. 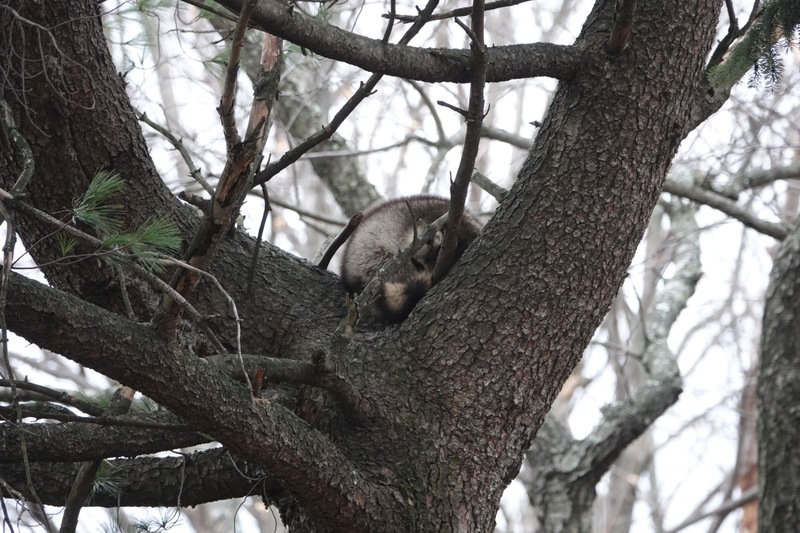 In the news: canine distemper virus is sweeping through the city’s raccoon population. Since the infected raccoons can infect dogs, perhaps this will get people to leash their dogs in the woods? 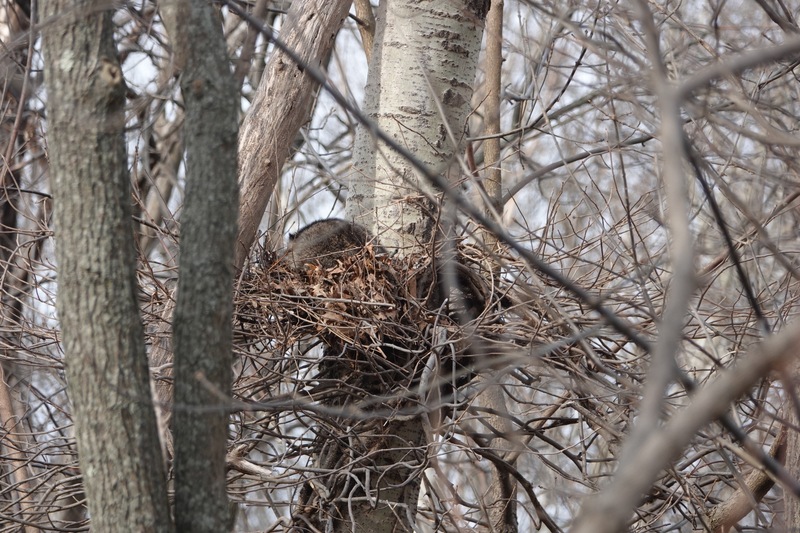 The NYCParks website warns about it for Pelham Bay Park. The Prospect Park Alliance has had an advisory up since October. Green-Wood, of course, isn’t a park: no dogs allowed, although it does have feral cats. 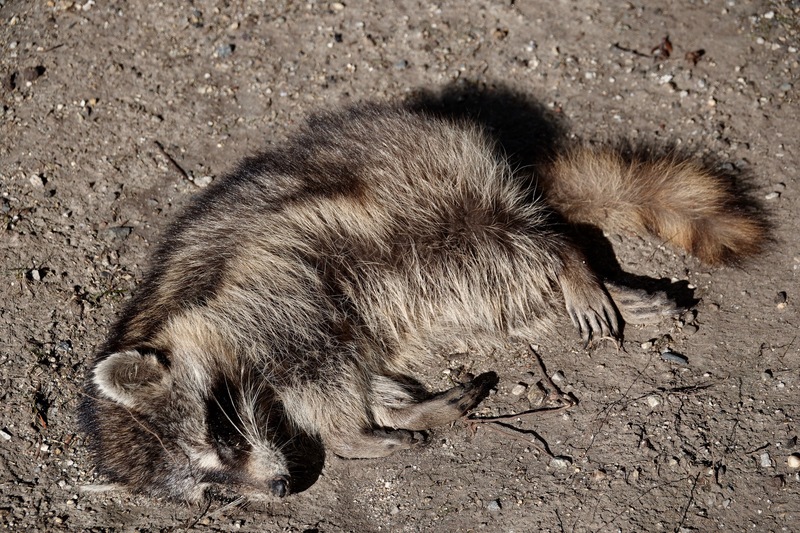 I’ve come across five dead or dying raccoons in Green-Wood in the last month. Here’s a sad trio of them. Point of argument, there are probably too many raccoons in Green-Wood. Many of the big trees there have their bases ringed with raccoon turds. The animals are nurtured by the garbage accessible on the bordering streets, the rich takings of fruit and nuts within, and, of course, no predators. Not to be vulgarly Malthusian, but viruses love large populations. tiny Madeleine “rich…leavings” as described by Templeton the rat in Charlotte’s Web re: the garbage at the fairgrounds. 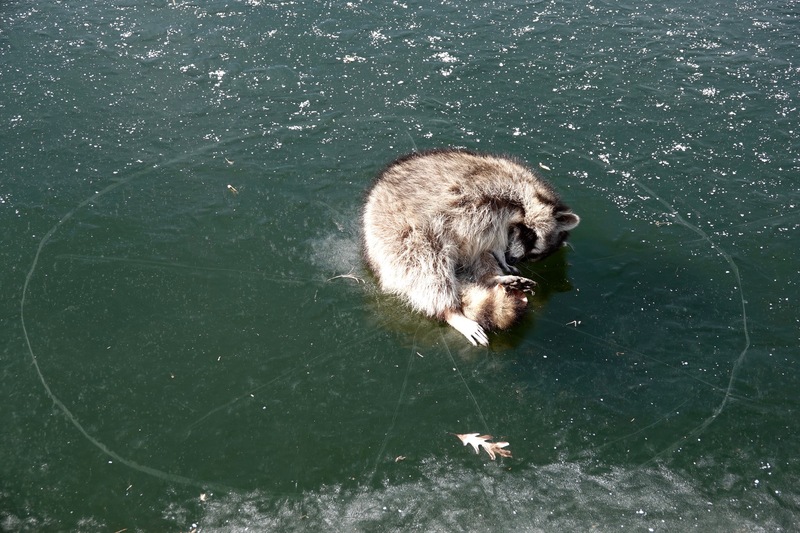 Aside from the danger of distemper, raccoons can inflict serious damage on a dog. Leash them in the woods risk a whopping vet bill. Sad stuff. Nature out of balance because of us.